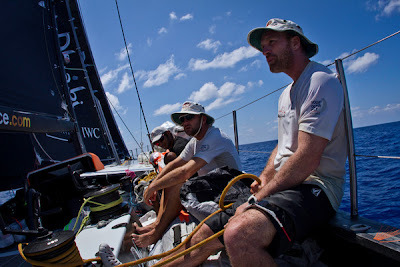 The breeze is dropping, the fleet has split and the lead that PUMA Ocean Racing powered by BERG (Ken Read/USA) have in Leg 6 of the Volvo Ocean Race is seriously under threat; all within a fraction over 400 nautical miles of the leg finish in Miami. CAMPER with Emirates Team New Zealand (Chris Nicholson/AUS) are closing, and, earlier today, Groupama (Franck Cammas/FRA) made a radical move that has shifted them up the leg leaderboard to third place. It all adds up to a painful situation for Ken Read and his men and there is very little they can do to protect their lead. Fifth-placed Abu Dhabi Ocean Racing (Ian Walker/GBR) were keen to seize any separation from Groupama that they could, having been chasing them for the best part of a week. 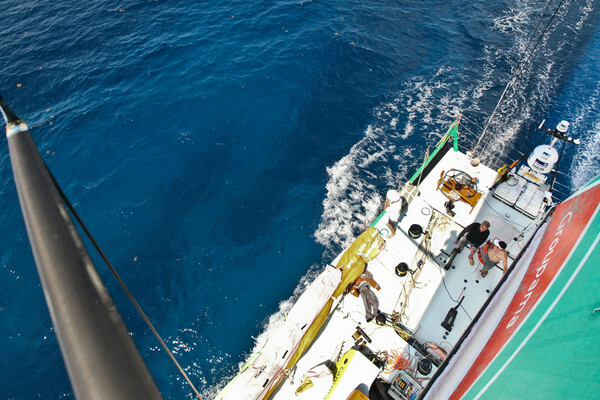 The opportunity presented itself in the form of the Turks and Caicos Islands around which the two split; Abu Dhabi Ocean Racing went north and Groupama went south. 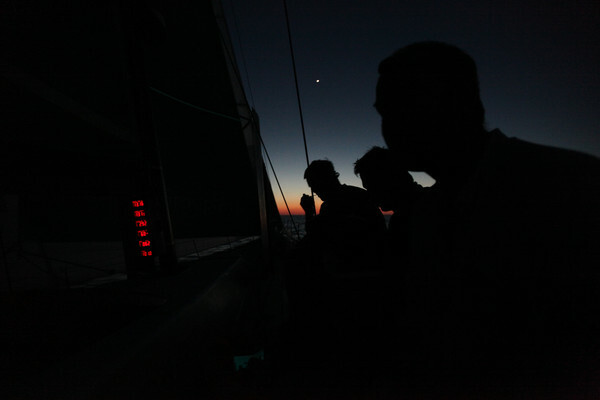 The risky move, brought about by very little to lose, enabled the French to rise to third place, while Telefónica (Iker Martínez/ESP) and Abu Dhabi Ocean Racing struggled, bleeding miles. Groupama are 44 nm to the west of PUMA, but will need to keep Long Island to port due to lack of depth and, further ahead, the Eleuthera Island Light, Great Stirrup Light and Great Isaac Light, which are marks of the course. The westerly course taken by Groupama was also an option for both PUMA and CAMPER and the navigators of both teams looked seriously at the choices. 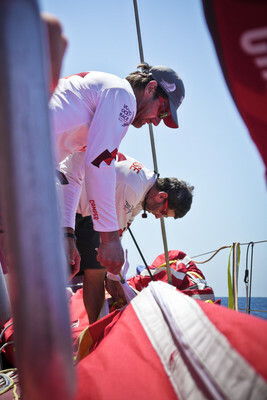 “It was a bigger risk for us, but if we had been in their position [fourth place], then that is definitely what we would have done,” said CAMPER navigator Will Oxley today. PUMA navigator Tom Addis pointed out that there is certainly more wind for Groupama at present, as they are further away from the high, which is causing the light air nightmare for the leading pair. 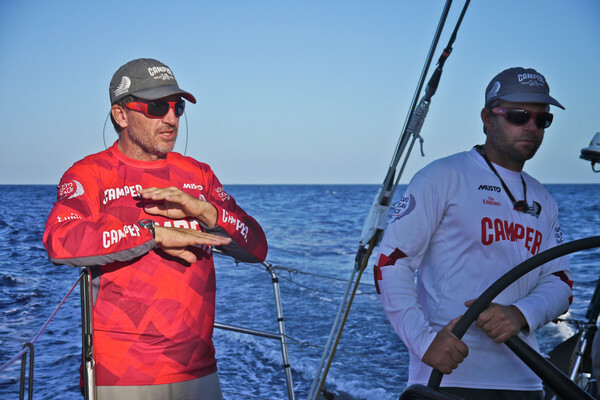 CAMPER are currently chasing PUMA along the eastern side of Crooked Island, 13 nm offshore, while Telefónica took a dive west soon after passing the Turks and Caicos Islands preparing to leave Pirates Well to starboard. 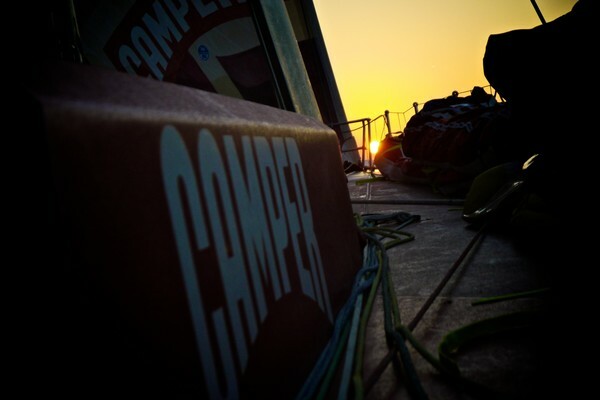 At 1900 GMT tonight CAMPER had closed to within 12.5 nm and in third place, Groupama was 58.6 nm astern. Abu Dhabi Ocean Racing were only 14.2 nm behind fourth placed Telefónica, who were 20 nm adrift of Groupama, who had gained another 10 nm in the previous three hours. Ahead, the last piece of the jigsaw, from the Eleuthera Light, lying 50 miles east of Nassau, will be difficult, but easier than the current conundrum. 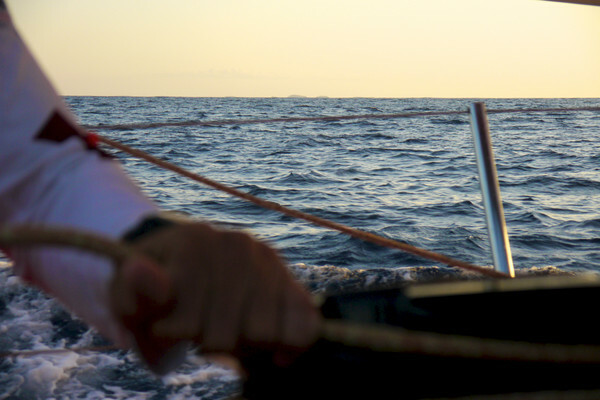 According to Tom Addis, whoever is first round the Eleuthera Light will be able to breathe a little easier, because it will be followed by around 100 nm of straight-line sailing across the top of the Bahamas. The final challenge will be crossing the Gulf Stream.